India Internet is an ISO 9001:2008 certified company located in Noida, Delhi-NCR India. We provide quality, cost effective web solutions as per client's satisfaction. We always try to ensure that business objectives are met successfully in time and the client gets satisfied. We are 14 year- old company having 50+ highly skilled professional & have executed more than 1500+ projects of different sizes. 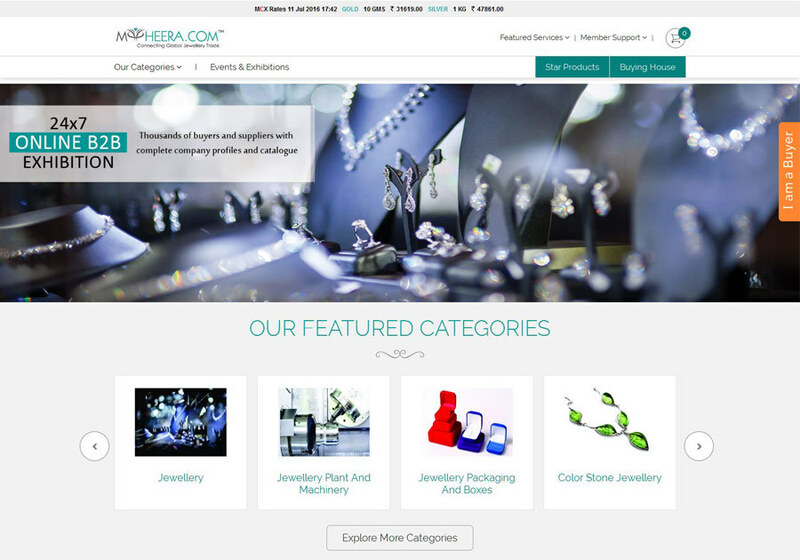 Myheera is a website which provide a B2B marketplace for suppliers and buyers. It is India's largest online marketplace for gems & jewelry industry.